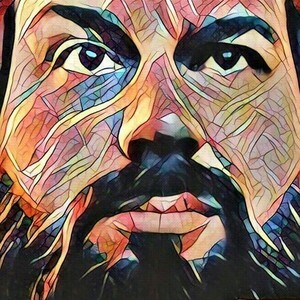 Bubbernaut, or “Bub”, is from the get-go an engaging personality who absolutely radiates the joy gaming and the community brings him back out across anyone lucky enough to stumble across his channel. He frequently takes time aside from the game or task at hand to stress the importance of community, and inclusion. Few streamers care so deeply and genuinely for their fans, and it speaks to one element many streamers simply are unable to fake or mimic: Sincerity. In his games, he drives engaging stories with the delivery and commitment that separates the good from the great. As a Game Master, you can see the intensity, focus, and joy etched across his player’s faces. His usage of ambiance (from instrumentals, voices, and sound effects) lends itself to a cinematic nature that makes for a more in-depth and gripping viewing experience. His content is thoroughly prepared and it reads in the ease of the powerful presence he brings to the table. His ability to ad lib, slip in and out of complicated personalities, and recover from even the most group-halting dumbstruck moments is what makes a good game master a great game master. Even as his community grows by leaps and bounds as more fall under the sway of his effortless charm, he remains attached and accessible in ways that few streamers bother to try and match. As a streamer he makes a point to host other broadcasters that his community would enjoy, simultaneously broadening the entertainment pool” his fans can draw upon while giving an incredible opportunity to smaller streamers to take a step up towards a larger audience. Simply put, he is not only an asset to his community, but that of the gaming community at large. He is considerate and well-spoken, with a light heart and a sense of humor that is nothing short of infectious. In the end, it is not his merits that make the Bubbernaut a must-follow as a streamer but his ability to see the merits in others. His ability to roll with the punches and maintain a typically unflappable nature is where his true strength lies. 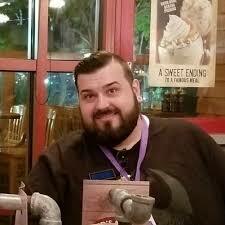 Anyone can force a smile and stream, but it’s when things go awry that you see the true depth of a streamers mettle and commitment and Bubbernaut has never proven himself to be anything but determined; Determined to spread his infectious joy of gaming, friendship, and life. yourself amongst. It’s not simply a sense of celebrity that makes his fans so devoted, it’s the genuine connection he forms with them. It is something that simply cannot be bought or faked.